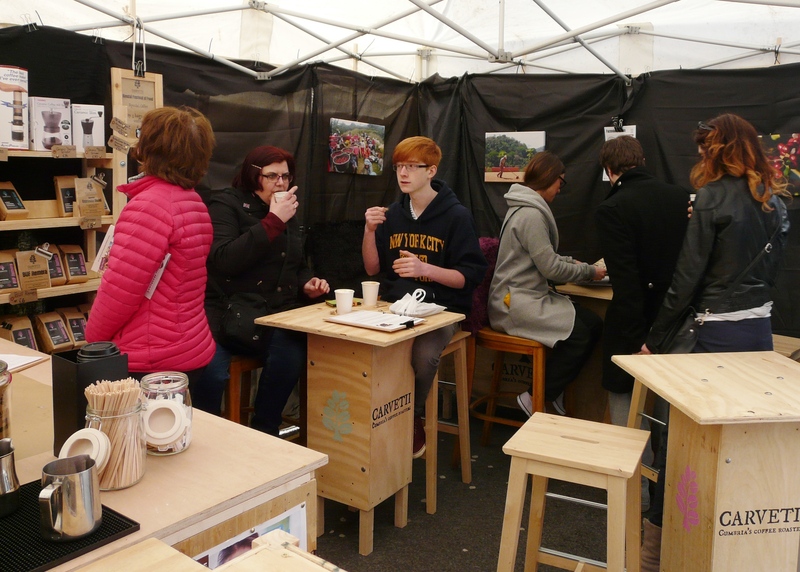 On the 24th and 25th May we’ll be taking the Carvetii Espresso Bar on the road once again, this time to take part in the Taste Cumbria Food Festival in Ulverston. For all you coffee buffs out there we’ve got some delicious and varied coffees to sample (and our samples are full cups of coffees!). We’ll be kicking off the weekend with a stint on the Taste Cumbria Demo Stage. 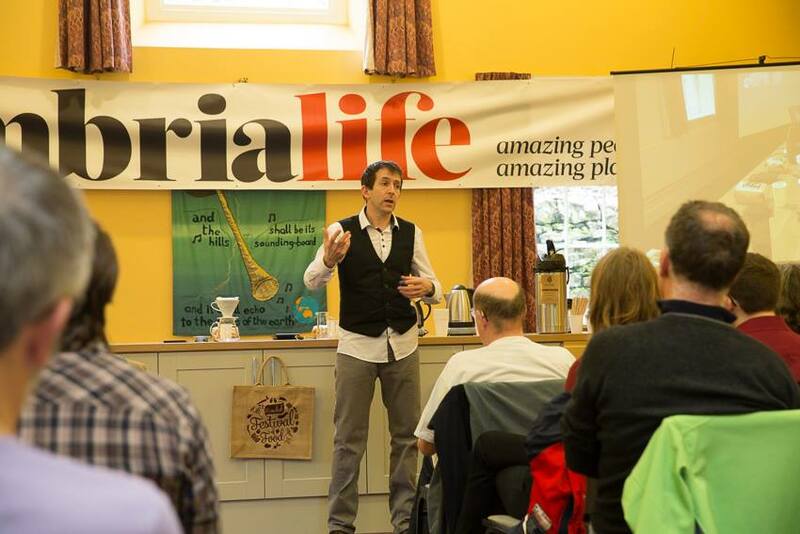 Why not join us for a coffee brewing masterclass and discover some great hints and tips for making delicious coffee at home. You’ll also discover a little about how we source our coffee and our philosophy towards coffee roasting. 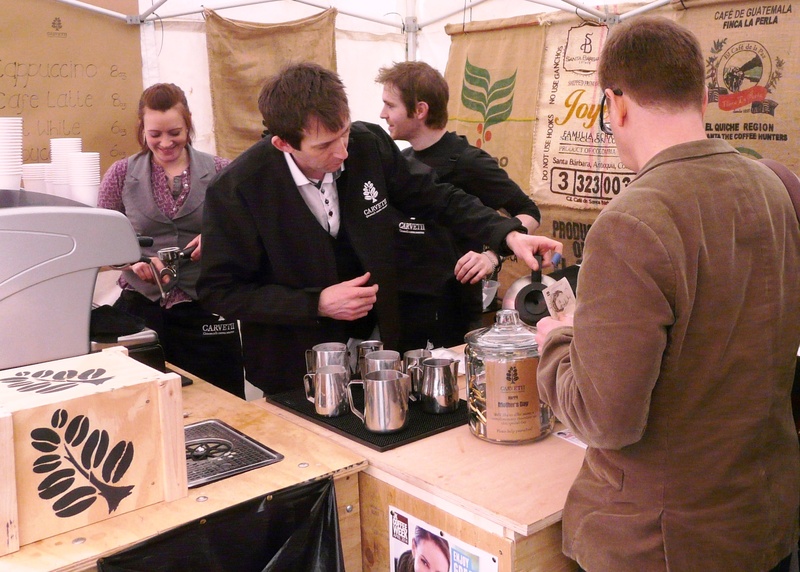 From our Espresso Bar on Market Street, just down the road from the demo stage, we’ll be serving the full range of espresso based beverages. From a straight shot of espresso to a rather delicious flat white, there’s a drink to suit every taste. You might even like to try something a little different, such as a piccolo. 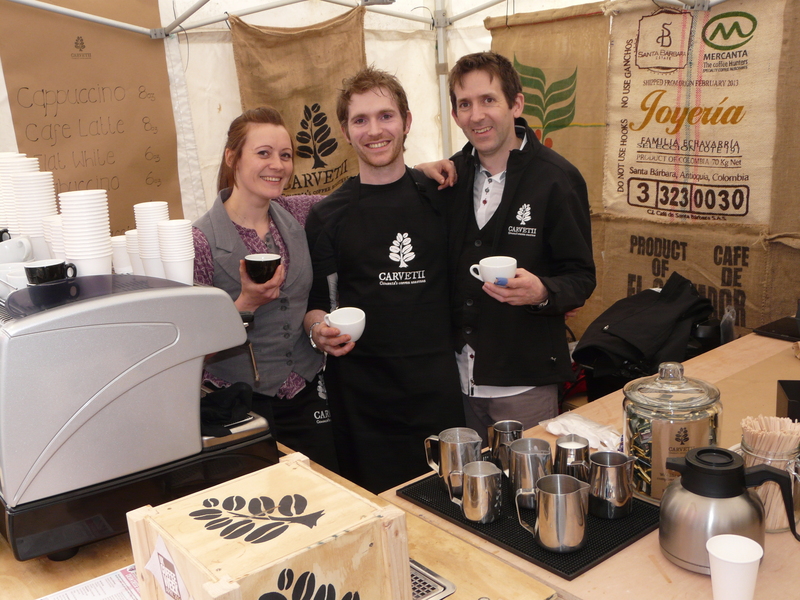 As it’s a Food Festival we believe in sharing the coffee we produce with as many people as we can so all drinks served from our bar will be complimentary. If you like your coffee black, or with cold milk on the side, we can thoroughly recommend our filter coffee. We’ll have flasks of our single origin coffees ready to go, including our newly launched Finca El Recuerdo from Colombia. If you visit our bar you must have a taste of our cold brewed coffee, particularly if the weather is fine. We’ll be using some of our single origin coffees to brew a refreshing and sweet chilled coffee, which is delicious drunk black or with a dash of full cream milk. To make the experience all the more enjoyable we even have seating to let you take the weight off your feet, a great place to absorb the atmosphere and to have a chat about our coffee. Taste Cumbria Food Festival is open between 10 a.m. and 4.30 p.m. on Saturday the 24th May and Sunday 25th May. We look forward to seeing you there and serving you amazing coffee!